?> About Us | Carolina Appliance Repair LLC. Carolina Appliance Repair LLC has been repairing household appliances since 1985. With over 28 years of service we are dedicated to providing excellent customer service, on-time service calls, quality manufacturer parts and honest pricing. We repair Dishwashers, Stoves and Ranges, Refrigerators, Washing Machines, Dryers and other small appliances. 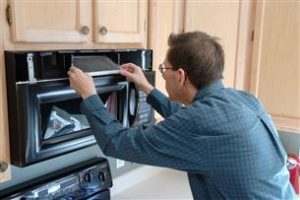 When you call Carolina Appliance Repair, you’ll always talk to a knowledgeable technician before scheduling an appointment. Give us a call today at (919) 806-6115 and we will return your call as soon as possible OR “Click Here” to go to our contact form to ask a question.